How fast is Aston Martin’s 1160bhp Valkyrie hypercar? So fast that by the time it’s crossed the finish line at Spa Francorchamps circuit, existing hypercars like the mighty McLaren P1 haven’t even made it round the last corner. How do we know? Because we’ve just pasted both around the Belgian circuit and written off two P1s in the process. Well, kind of. 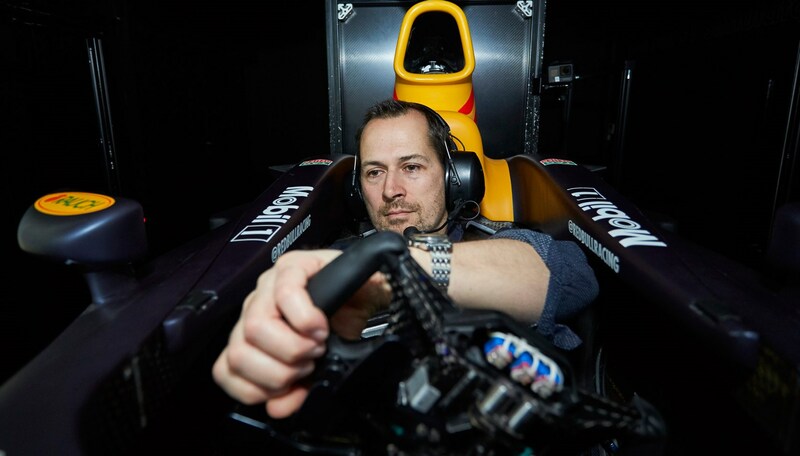 Actual press test drives of the £2.5m Aston/Red Bull machine, if they happen at all, are still some way off, but as a taster of what’s to come Aston invited us to try the Valkyrie in the same ex-F1 simulator Chris Goodwin and the team have used to log 8500 test kilometres over 55 sessions at Red Bull’s Milton Keynes HQ. 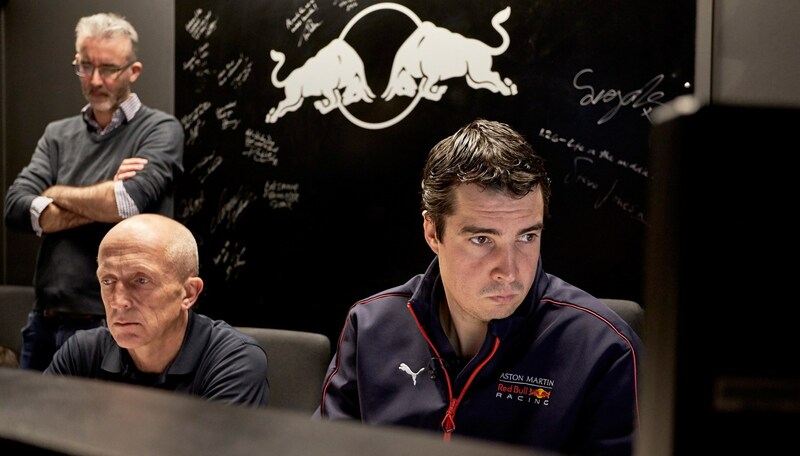 Because the simulator we’re using was previously used by the F1 team, the cockpit on top of the hydraulic rams isn’t a dummy Valkyrie cabin, but a genuine ex-F1 Red Bull F1 tub. It’s a tight squeeze to slot through the opening and pretty claustrophobic once you’re in there. Ahead there’s a large curved screen showing a wraparound image created by three projectors. I’m lying almost prone with my feet so high up a nosebleed seems a possibility. Goodwin tells me the actual Valkyrie’s driving position is not that different, although the road car’s wider footwell means you won’t have to left foot brake like I will today. We’re ready to go, but before we can get behind the polygonal wheel of the Valkyrie we’re going to establish a benchmark for hypercars by driving some existing icons. Aston and Red Bull have come up with a computer model based on a blend of attributes from various hypercars, none of which Goodwin will name. But it’s not hard to imagine what they are, particularly given Goodwin himself was partly responsible for the way the McLaren P1 behaved. I’ve played plenty of racing games in my time, but this simulator is something else. 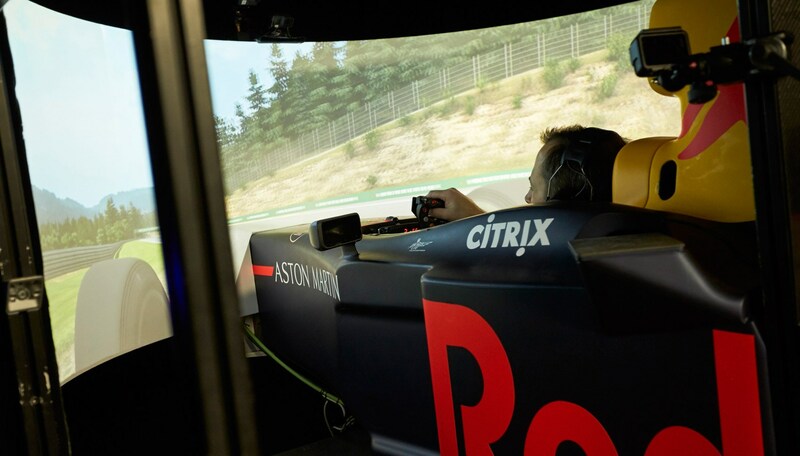 The computer image struggles to create the sense of speed you’d get in a real car and the rig’s movements aren’t as pronounced as you expect during braking and cornering. But you can feel perfectly the way the car’s balance is shifting through the corners, and when the back end slides sickeningly wide when you pile into a fast bend way too hot. In the rival car I struggle with turn-in overtseer at high speed and a lack of grip in the slow stuff. I end up having a couple of shunts so massive I’d be dictating this from a trauma ward by blinking at alphabet letter cards if they’d happened for real. But eventually I manage to string together a couple of clean-ish laps. Now it’s time to try the car we came here for. While the operator resets the system I wonder whether I’ll actually be able to feel much difference at all. But from the first jink of the wheel the difference is so ridiculously huge I start to think he’s loaded up the 2019 F1 car by mistake. Approaching the first corner, a tight right at the end of the start finish straight, the nose tucks in cleanly instead of washing wide as before. From there it’s a blur of rapid fire gear changes as the engine leaps again and gain towards its 11,100rpm cut-out, hurling us towards the terrifying spectre of Eau Rouge. The rival car had seemed reasonably planted on the way through the left and up the hill, but a real handful as you moved into the right hand phase at the top. But the Valkyrie breezes it. The stability is staggering. It’s not just the speed that amazes, but just how easy it is to go quickly. That said, it’s a very physical experience. The brakes are hugely powerful but need a hefty push, and the steering fidgets excitably in your hands, weighting up alarmingly on the odd occasion when I make a mistake and have to throw on some corrective lock. Aston won’t reveal exact lap times, but does let slip that in their testing the Valkyrie is a huge 25sec quicker than the last generation of hypercar icons, which ought to get around Spa in under 2m 30sec with a pro at the wheel. 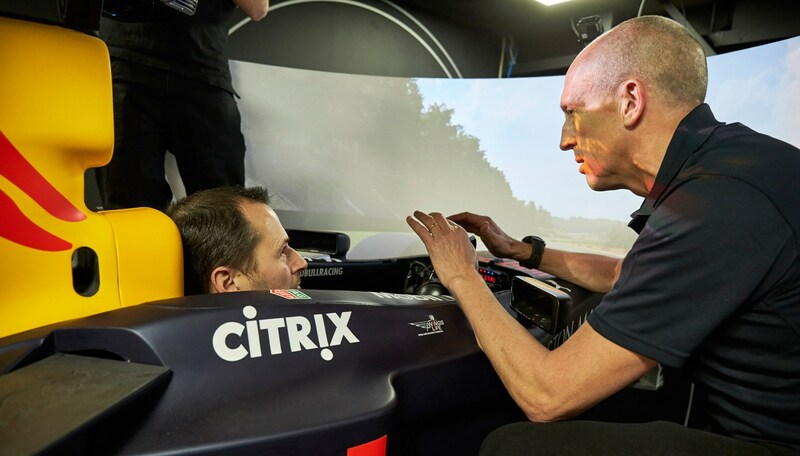 If it can do that in real life, and do it while giving the driver the confidence the simulator model gave us, we’ll have to come up with a new category of cars. ‘Hypercar’ simply won’t be enough.